Getting to know our team members is important to us. 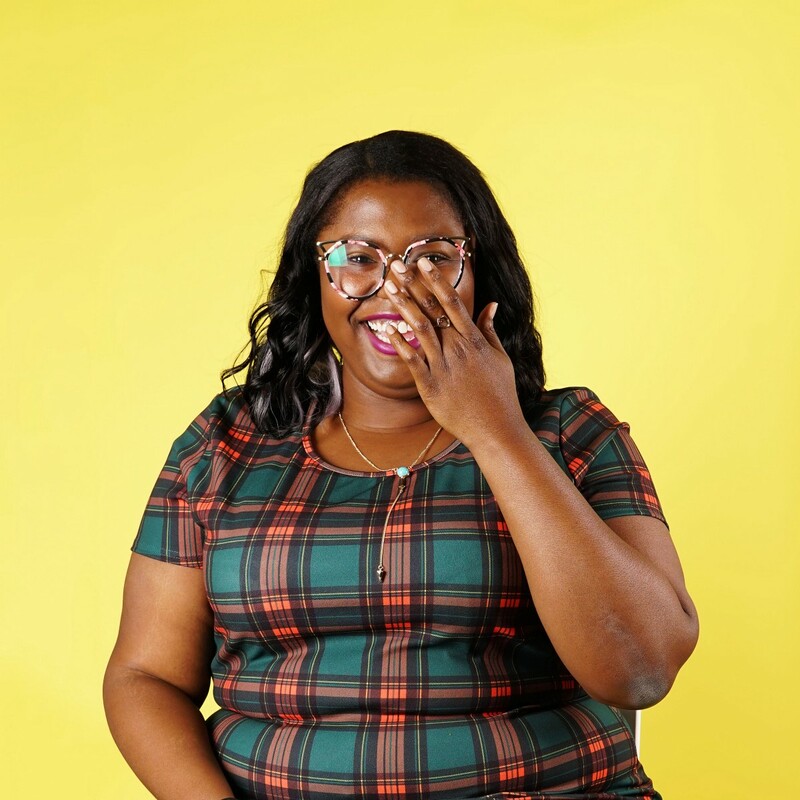 We recently sat down with Andrea Alexis-James, Flipp’s Partner Success Lead, to chat about her role, what brought her to Flipp and what she has found to be the most important thing to do when you join a new company. Here’s what she had to say. So Andrea, what brought you to Flipp? I am a couponer at heart. It was actually one of my former co-workers who said, “I think you’d really like this app.” Little did he know, I liked it a little too much! I was working in media buying and planning, which I’d studied at school, but I began to use Flipp regularly and I knew it was a Toronto-based company. A previous colleague was working at Flipp so I decided to reach out about opportunities. When I was hired, I started in the Operations department. And what took you out of operations? I had always wanted to join a marketing team. Plot twist — that didn’t end up happening. After a couple of years in Operations, I still had this mindset but had made friends with a couple people on the Partner Technology team who mentioned the idea of a new function, Partner Success. It was pitched to the ops team as a potential growth path, and it was a role that still needed to be defined, so I decided I could be someone to define it for the team and for the company. So you made the jump into Partner Success. Is this department and role similar to a Customer Success role at other companies? Or does it differ? Well, there are two parts to the team: Partner Technology and Partner Success. Partner Technology is technical account management for enterprise-level accounts. As Partner Success Lead, I work on smaller accounts and more of them than the Partner Technology Managers. We aren’t in sales, and we don’t ‘talk money’ at any point; effectively, we come in with support after the partnerships are formed and budgets have been set. Got it. And what does your day to day look like? My days mostly include follow-ups and solutions management for clients. Typically clients will have reached out to us with a question and I’m here to answer it. My role really bridges partner support and then acting as a mentor internally as well. Our team holds a lot of knowledge about our partners and, for those in the operations department, it’s knowledge they can benefit from. We hold training sessions for the ops teams on different topics that can help them do better in their jobs, too. I also spend time building documentation for the teams so that processes can be streamlined and we make sure that we’re always knowledge-sharing. That’s amazing. And is that something that you value about Flipp? That opportunity for teaching and knowledge-sharing? Definitely. I also think that Flipp offers a lot of opportunity for progression within the company. From the time I’ve joined Flipp, my coaches have constantly asked what I want to be doing and where I want to go in my career. It was welcome and refreshing to join a company that puts so much emphasis on growth and creating opportunities to lead. You’re a familiar face around the office, at Flipp events and running different programs in your spare time. How did you get involved initially? I’ve always been a pretty social person, but I would say a new job is probably the scariest ‘meeting new people’ experience. You’re going to see these people every day and, ultimately, want to build a relationship. So, being a planner and someone who likes to create community, I really just dove in and tried to foster relationships with people inside and outside of my immediate team. And what do you think Flipp’s culture and being at a company that places so much emphasis on culture has done for your career and your work? I’d definitely say that Flipp fosters a family-style atmosphere. My team is very tight and we’re very trusting of one another. We have discussions about all kinds of things that impact not only our work lives but our personal lives as well. I’ve made friends here that have absolutely had a positive impact on my work. I think that work friendships that extend beyond the office are a great indicator of a culture that’s impactful and meaningful. So lastly, given the experiences that you’ve had here and you’ve shared, what advice would you give to someone just starting at Flipp? Branch out from your department. I think it’s easy to get comfortable and to stay put with those people you interact with every day. But in doing that you’re depriving yourself of so many awesome interactions and relationships. We have a ton of ways to get involved here at Flipp, so don’t be shy. Thanks so much for sitting down with us, Andrea! Want to join the team? 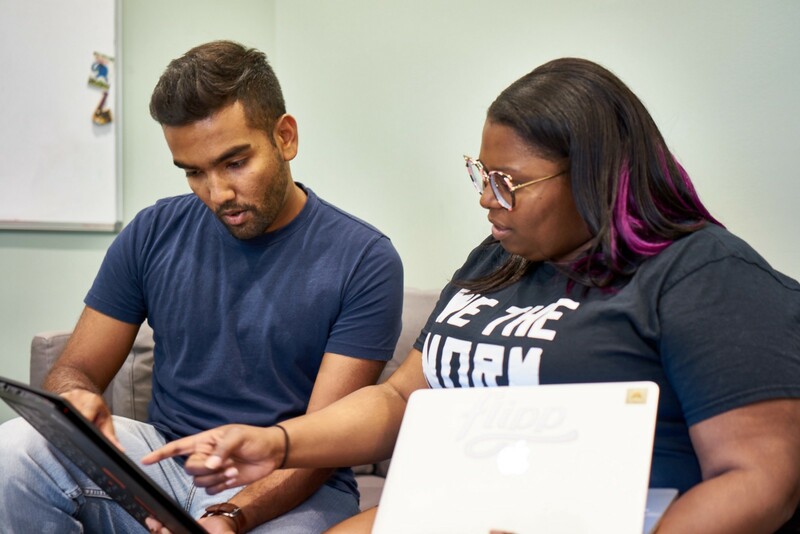 Check out Flipp’s career site to browse open positions. For a closer look behind the scenes, follow @InsideFlipp on Instagram. We’re the team behind the Flipp app, and we’re reinventing the way people shop. Follow us to see life inside one of Canada’s best workplaces.